Europe is facing many challenges, but it’s evident that the European startups are going in the right direction given more and more VC firms are taking an interest in what’s happening in the European start-up scene. The UK is becoming one of the world’s most dynamic start-up clusters and the most prominent startup ecosystem in Europe, a gateway to investments. According to the latest research from Nesta, the innovation foundation related to Business Innovations and Industrial Strategy, the number of incubators and accelerators in the UK has increased significantly. Most of them are supporting 3,660 new businesses yearly. According to the same research, current accelerators and incubators are providing approximately £33 million annually in startup investment. Accelerators in London are still dominating the stage. However, as reported in April 2017, the trend is moving towards creating the accelerators outside of London, specifically in Birmingham, Bristol, and Manchester. However, incubators are spreading through the country and still growing fast in number. We have created and updated a list of the UK’s best tech accelerators and incubators. We have rated them according to their full offer which includes fixed duration programmes, mostly growth-based with a focus on services such as mentorship and entrepreneurial training rather than just a coworking space. If you are new to a startup industry, this list will help you when it comes to finding new business space, investors or community that suits you. Seedcamp has become one of the most prominent startup accelerators in Europe since it was founded in 2007 in London by a group of 30 European investors. Seedcamp operates as a micro-seed investment and mentoring program. They host Seedcamp events in over 30 cities around the world and provide free standardized legal documents for all to use through Seedsummit.org. It’s a platform that helps start-up entrepreneurs to find the most active seed investors. Applications for pre-seed funding are open four times a year. FastForward is one of the UK’s Pre-Accelerator Programme (FFWD for short) that prepares startup teams for first funding and successful application and entry to leading accelerators. They offer an intensive program with the exclusive expert speakers and professional industry mentors in one-day sprints, over a 6-week period, covering topics such as Tech, Marketing, Finance, and much more. The programme runs twice a year. They offer both accelerator programs and a place in their incubator with a team of 60 operators eager to help founders build great companies. Their investors help startups with distribution, product validation, data access, market insights, relationships, credibility, and capital. In exchange for a minority stake in each startup they give £150,000 seed round and 12 months of operational support. Until today, they have 53 startups accelerated and 13 startups incubated from various industries starting with AI & big data, beauty, education, FinTech, and media. Hatch is one of the UK’s leading community enterprise charities, and since 2014 they have been helping local entrepreneurs to get their ideas into business. Besides counseling, Hatch offers to its selected entrepreneurs an incubator program that includes workshops, 1-1 support, mentoring and access to a network of business pioneers and experts towards getting business skills and insights for growing their ventures. They offer different types of programmes for different levels of your business needs. Their acceleration programme is an opportunity for early-stage companies to gain investment, mentoring and support to accelerate their growth. For startups this programme can help in validating ideas and getting access to initial and follow-on investment, while corporates can use this programme for getting investment, building portfolio value, driving cultural change, and PR. The Pi Labs is Europe’s first venture capital platform to invest exclusively in early-stage ventures in the property tech vertical. They offer a 13-week intensive mentor-led programme that accelerates the growth of tech startups. The programme includes a demo day with angel investors and support of 150+ mentors and speakers. Besides investing in companies through the Pi Labs Accelerator Programme, they support an early stage ventures that are raising their seed through to Series A rounds. A mentorship-driven seed stage investment that runs once a year in London. It’s a three-week program of intensive mentorship. They fund technology-oriented companies, typically web-based or other software companies. They can provide working and meeting spaces covered with minimal expense. At the end of the three months program, they organize an Investor Demo Day where angel investors and venture capitalists check out your technology and listen to your pitch. Usually, there are 100-200 investors waiting for you. A two-year program designed to support people interested in building trustworthy companies from scratch. The program starts with six months of intensive mentorship created to help and assist individuals followed by support for the next 18 months. They’ve helped over 350 individuals build 100 companies with a total valuation of over $500m. Selecting people for this program is available at any stage of their career – from recent Computer Science graduates at the world’s top technical technological universities to postdoctoral researchers and engineers working at tech firms. However, having a team isn’t decisive for entering the program, they look for potential funders, fairly ambitious and creative-minded people. A three-month program for start-ups that want to create sustainable social innovations. This accelerator invests in early-stage of a start-up’s life and provides adequate support for those ambitious enough to change the world with their projects. Place in this accelerator is open for everyone with potentially great ideas, from software developers, designers or people with personal experience of something they want to change – from teachers and doctors to patients and carers. It’s a program that supports innovative digital media companies and includes six start-ups each year to become the part of BBC ecosystem. Chosen start-ups will have a chance to work with a team of industry experts and others from BBC Worldwide’s global network. Main goals of these kinds of programs are to expose BBC Worldwide to innovation and disruptive technologies while supporting promising UK digital entrepreneurs to grow their potential. BBC seeks companies from the related area of digital technology, those with an already finished product, teams with global vision and dedication to the BBC Worldwide’s ideas and goals. Firestartr helps start-ups by providing seed-stage capital to accelerate success. They seed 1 investment per month and search for disruptive ideas in big markets such as Internet-based business models. As a member of Firestartr accelerator, start-ups will have hands-on support, business leads and some of the most prominent Series A investors, followed by partnerships with the most influential incubators, accelerators, co-­investors and co-­working spaces in London. Founder Institute offers a four-month entrepreneur training and startup launch program focusing on practical business-building skills, assignments and training course. It is a step-by-step program, with mentorship, training, structure, supports, and network of entrepreneurs which every start-up needs in order to start a long-lasting company. A business incubator that offers investment, mentorship, workshops, office space and access to proprietary technology to start-ups that focus on knowledge, retail experience, IoT, and more. JLAB aims to build a mutually beneficial experience that brings the discovery of industry-changing innovations and gives talented start-ups a platform to grow and develop their products. The program is based on 4 stages of mentorship and support. The finalists entering JLAB will be made a bespoke investment offer depending on the stage that their business is at. It’s London’s community for entrepreneurs, which offers support in mentoring, training sessions, investment (angel network), coworking, and everything that supports the high-growth business. The Warehouse is most suitable for companies on their way to grow their business which could benefit from being surrounded by those of a similar mindset who are also growing and focused on developing, building and delivering. 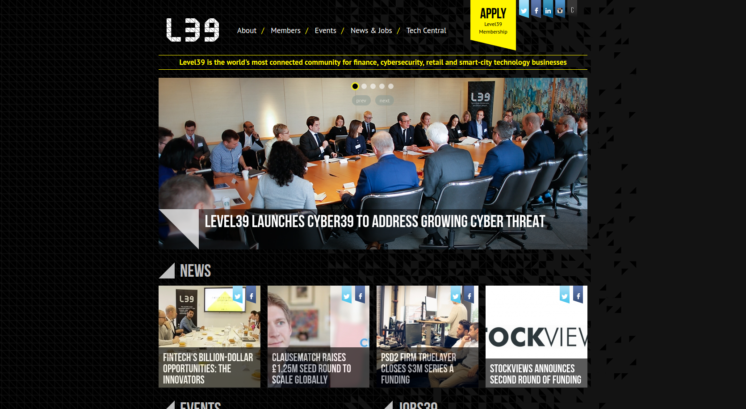 Level39 offers growth mentoring and office space for finance, retail, and future cities technology start-ups. They support fast-growing tech companies by giving access to world-class customers, talent, and infrastructure. Level 39 offers expert mentors and an access to the dynamic workspace. It’s a three-month program created to help early-stage start-ups that work in the cloud, mobile, and the internet. The program provides training, top-quality mentorship, and free tools. They focus on technologies enabling a mobile-first, cloud-first future, spanning big data & analytics, business SaaS, cloud infrastructure, machine learning, productivity, and security, among others. From idea to IPO, Microsoft is uniquely equipped to support the tech startup community at every stage of their journey. They offer technology enablement through programs like BizSpark, business growth through accelerators, their Ventures Fund, and ecosystem engagement. They accelerate the success of innovative, enterprise-ready companies by providing access to the top Microsoft partners and customers, powerful business connections, and technical knowledge. The Accelerator program gives business support to digital SMEs who are working on innovative products in the digital home, health, transport, and energy. They offer fully serviced office space, video conferencing, exhibition areas, boardrooms, a reception and support services. They provide high-quality office space for small and medium digital businesses. 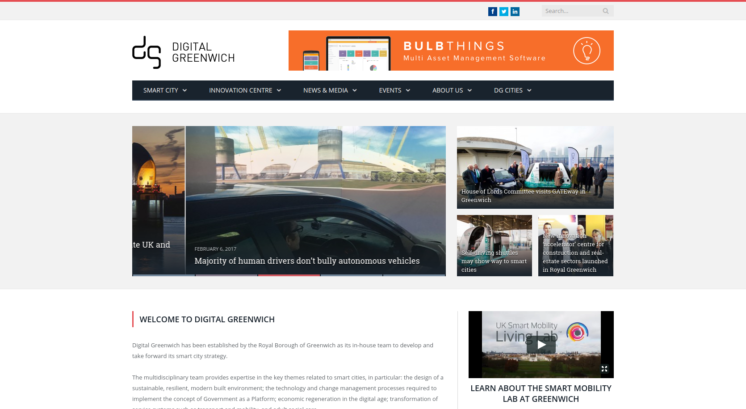 Businesses supported by Digital Greenwich are able to benefit from close links to the Borough’s Smart City programs and the opportunity to collaborate with other innovative companies and stakeholders. The center also provides links to fresh talent and facilities offered by the universities. A London-based hardware startup accelerator focused on supporting hardware startups that are working on problems with water, energy efficiency, transport, waste, smart cities, and materials and industrial tech. The program includes seed investments and mentoring. They look for entrepreneurs and businesses who are building an exciting B2B hardware technology that has the potential to scale in large proven markets. It’s a project designed to find and help the growth of the most promising new music start-ups through a creative partnership. Update: At the moment there aren’t active programs for new startups. A business incubator that offers support, training, resources, and network to start-ups working in information and communication technologies and multimedia. Accelerator is home to 30 of London’s best technology start-ups. Together they have raised millions in funding, scaled teams and launched in global markets. LCI focuses on helping start-ups in digital media, clean technology, and medical devices find investment. They help student’s enterprise programs and startups with mentorship, but they also offer the knowledge and skills needed to begin working on the business idea. Co-working space and internship at local entrepreneurs are also included. They offer an Accelerator, a four-month program that supports start-ups in health, education, and housing, provides expert tutoring, business support, and social investment. This Foundation has supported hundreds of social innovations and administered multi-million-pound grant-based investment funds. They offer research on both the theory and practice of social innovation, hands-on concept development and co-design with individuals and groups. Oxygen Accelerator offers a 13-week program that provides investment, mentoring and access to a network of start-up investors and advisors. They offer a day to day support from their experienced team, and there are 150+ mentors and a collaborative office space, then Demo day for presenting to its selected networks of investors and continuing support after graduation to close who gained investment round. Wayra is Telefonica’s accelerator that offers mentoring, office space, networking, and business partnership. From 2017 Wayra UK will run programs to encourage start-up development in the Midlands and the North of England, as part of the mission to democratize entrepreneurship throughout the UK. While you first need to have an excellent idea, you need to do some research to find out which program is best for you. What makes an accelerator a good one is a smart mentorship and smart money, but which accelerator or incubator offers resources you need? We have created a list of some of the best European incubators and accelerators with a short description of each to help you get started. SeedCloud focuses on start-ups based around cloud technology, big data, collaboration technologies, enterprise messaging and content management. It supports start-ups through technologies, and strategic and market advice. Once selected, SeedCloud incorporates a vehicle to exploit the opportunity and assists with strategy and resourcing, including fundraising. Critically, and unlike other incubator programs, the SeedCloud team directly supports or even leads technological development using its own rich pool of internal IP and tools. This incubator provides office and laboratory space for early-stage start-ups. Early-stage businesses can take advantage of being in close proximity to eminent scientists and experts in technology. The Incubator’s central location in London offers easy access to customers, investors, commercial partners, and consultants. Connect London provides a team management, and assistance in research and prototyping, as well as government-backed start-up loans. Connect London offers help for obtaining the funding and/or investors, connecting entrepreneurs with mentors and locating academic support if required. It is a sort of charity organization dedicated to supporting start-ups in their critical early days. They aim to make starting a business affordable, accessible and supported for ALL and to ensure the skills required to become an entrepreneur are an integral part of education. The Bursary is their 18-month program that offers space, support, advice, and connections. Emerge Education is a 3 month, London based accelerator program for start-ups aiming to improve educational outcomes worldwide. The program is appropriate for tech start-ups that span all stages of development: from functional prototypes to those with more significant traction seeking to expand into the UK market. Besides, they offer mentorship, support, and initial investment for start-ups. We know you are savvy, dedicated and passionate about your new business, but with more productivity and time tracking tools being introduced every day, how do you know which ones will help you spend the right amount of time on the right tasks? It’s a tough decision, right? These online tools can help start-up companies to simplify their business processes and do a lot more to get important things done. They aim to help start-ups, scale-ups and corporate innovation projects to succeed with confidence by providing a range of support services, access to professional networks, and affordable serviced office space for those who need a base. They provide the foundation needed to build one start-up through communal workspace and entrepreneurs, supported by expert mentors and workshop events. 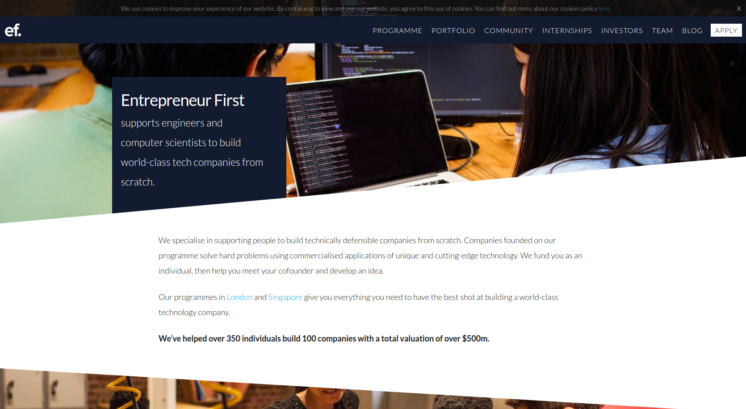 Launch22 is a charity incubator aimed to help start-ups and entrepreneurs off the ground by affordable fully serviced workspace variety of different membership options, and with the scholarship program for those from disadvantaged backgrounds. All members have s free access to mentors, all with a wide range of expertise, to help advise and support. They aim to build bridges between corporates seeking to innovate and newly established companies with disruptive tech. They are both investors and accelerators. One of their startup programs – Nexus by DIA offers start-ups access to 10 weeks of senior leadership and expert knowledge across its network. This institution is designed for entrepreneurs and early-stage digital startups. They offer help and support for the brightest talents from across the West Midlands. With 1-2-1 mentoring, at your disposal is nine months of free co-working space and access to over 140 annual events and workshops. So far, more than 140 business has come through the program and over £13.3 million has raised in start-up funding. C4DI or Centre for Digital Innovation includes corporate innovation, the tech community, and incubation. They gather talented people, from designers to hardware specialists, technologists, marketers and developers, in order to work together and help businesses become more successful. Whether you’re starting a business or trying to scale one, their team of experts and experienced entrepreneurs offers help, mentoring, and advice on how to accelerate the growth of your business. Ignite is the UK’s first distributed start-up support and investment network. They help start-up founders from all over the UK by providing the support of a traditional accelerator program, which includes 6 months of mentorship, accountability, peer-to-peer learning, and education about investment opportunities. Update: This website is not available anymore. This accelerator aims to mold, shape and iterate program depending on your businesses needs in order to create a flexible and dynamic working solution. They offer mentors for bouncing the ideas of your startup journey and workshops for learning basics needed for running the startup. Eco-friendly blockchain startups can be used to solve the major environmental problems we face today. Transparency and veracity across the digital information ecosystem are some of the reasons. Forestry, energy, fisheries, organic food and mining industries can benefit from blockchain. It is a three-month program where you can benefit from the entrepreneurship training, regular coaching, and advice from mentors in shared coworking space. 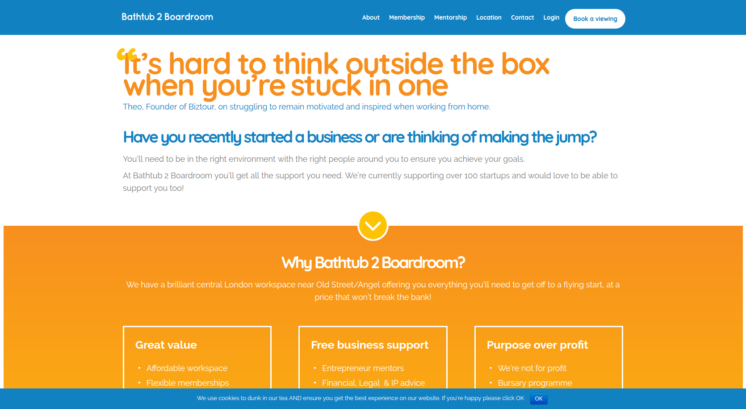 They help teams of entrepreneurs to turn an idea into a business, launch and then keep going. They support ambitious businesses with tools, guidance, and information. The focus of their support is a helpful mapping of your journey from great idea to profitable and scalable business. They offer a variety of accelerators and startup programs in cooperation with tech ventures and accelerators from all over Ireland. 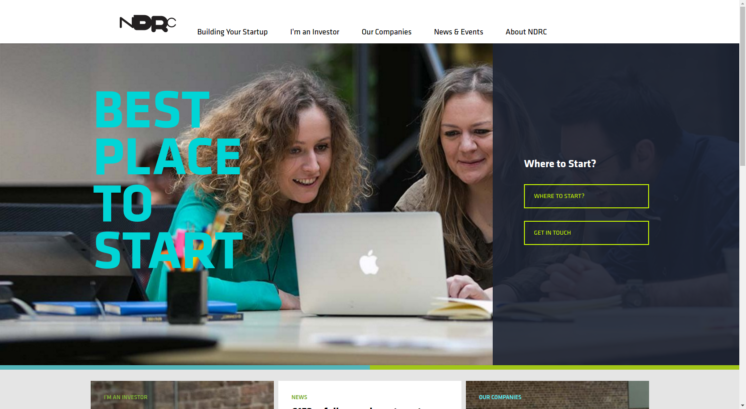 NDRC builds and invests in the most promising young digital companies or start-ups. They build and invest in startups through the intense accelerator programs, offering between €30,000 – €100,000 per company. Only about 10 per cent of those who apply to NDRC secures a place. There is also the pre-acceleration programs where they work with idea owners and teams to unearth technology solutions to industry-specific problems. There are more accelerators worth mentioning, such as Entrepreneurial Shark in Scotland and Qi3 in Cambridge. They take businesses at any stage of development, from initial concept right through the first money made of business. All programs are “tailor-made” depending on the startup stage. The program also includes networking and collaboration with other entrepreneurs and members of the local business ecosystem. Qi3 is a specialist service, providing sales, marketing, and business development support to technology companies, enterprises, and government. They focus on the commercial exploitation of Emerging & Enabling Technologies in Space. Qi3 helps both large corporations and small start-up companies by identifying the commercial value in technologies, whether they are innovative and new or mature. Do you have a particular accelerator or incubator to add? We regularly update the list, so feel free to send us information about the accelerator or incubator you think fits the list.